Events in Somerset in April with Spring upon us and the forty shades of green coming to life in the hills and valleys of this beautiful county. There are bike rides and a walking festival. Visit Bath for its World Heritage Day or for the Crafters among you, there is the Creative Craft Show at the Bath & West Showground. 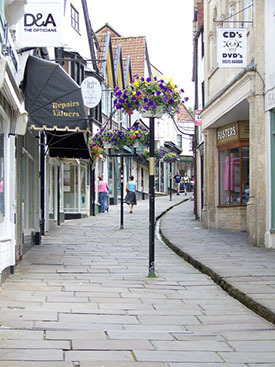 Visit the many towns that dot the county like Frome, Warminster, Weston Super Mare or the capital, Taunton. Some Events at the Helicopter Museum. during April 2019, Weston Heliport, Locking Road, Weston Super Mare. Somerset Vegan Festival 6th April 2019. Green Park Station, Green Park Road, Bath. This is their first festival. Great chance to find out about vegan food! !You may be in for a surprise!! Exmoor Beauty Cycle Challenge 14th April 2019. Sister to the Exmoor Beast. Challenging. Mells Daffodil Festival 22nd April 2019 Mells is not a big village, but what a show. It will quite a day!! Bath A unique city. 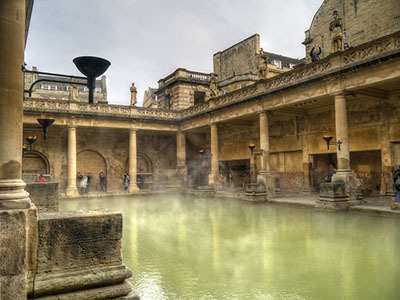 The Romans thought so too, that is why they built those Baths from which the city is named. The Georgians left their mark with their outstanding architecture. Then there is Bath Abbey. It is not surprising it is a World Heritage site! Good shopping too! Keynsham. Set in the pretty Somerset countryside. Makes a good base for touring the area being not far from either Bristol or Bath. The town is on the Chew River and Chew Lake is not far away. Wander round the Mendip Hills and its attractive villages. The town was at one time the home of Cadbury. sadly no longer so. Exmoor National Park is in both North Devon and Somerset, the biggest bit being in Somerset. Wild and peaceful. It is a fantastic hilly moorland. miles and miles of it running out to the coast. It includes lots of little places and larger ones like Dulverton, Porlock, Lynton and Lynmouth. All places worth a visit. Mells is not too far from Frome. Mells is a small village.The Colliers Way, Sustrans route NCN24 is close by. There is a lovely walk near the river. A camera would be a useful asset. Shepton Mallet. Home of the Bath & West Showgrounds, but much more in its own right. 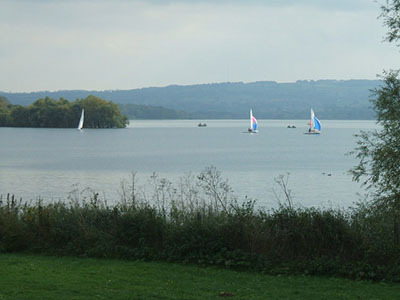 It is a pleasant town and it is the Gateway to the Mendips and so a very good touring base. Anyone with events in Somerset who would like to list their event here please contact us via the Feedback form, we would love to hear from you. The event should have its own website so that our visitors can find you and obtain more information. The events in Somerset should be capable of attracting crowds, large village fete size and above, similar to those listed here. We reserve the right not to include events in Somerset that are not suitable for legal or other reasons.